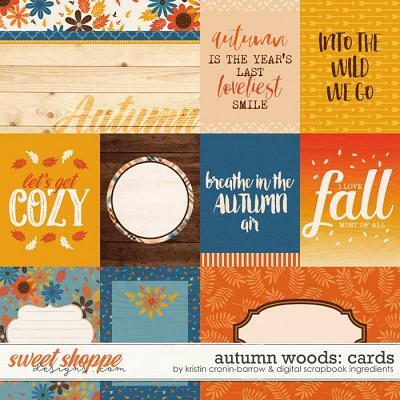 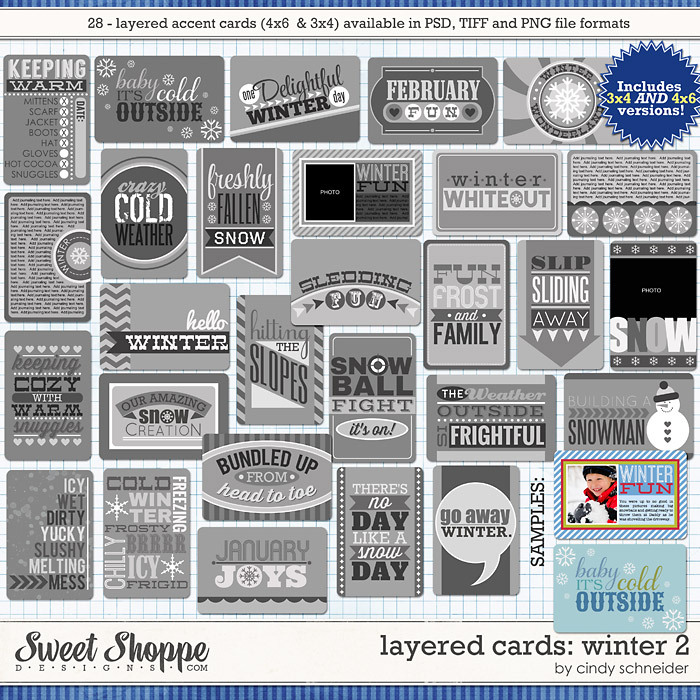 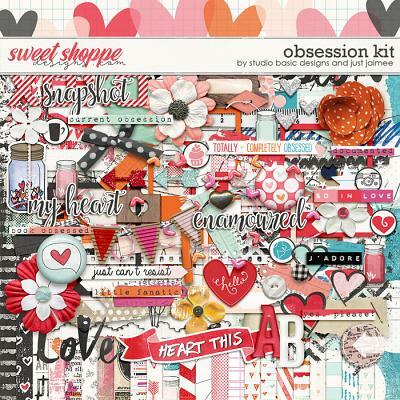 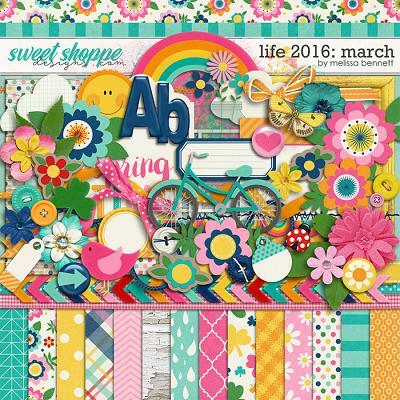 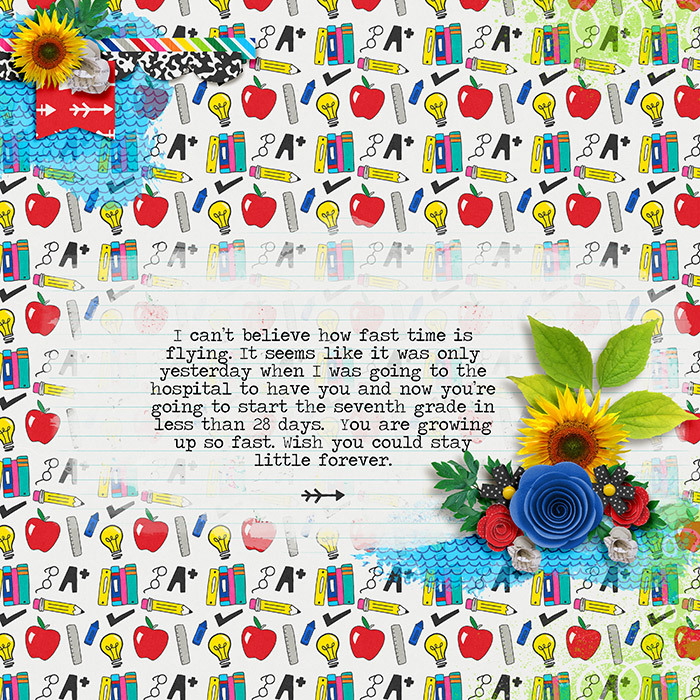 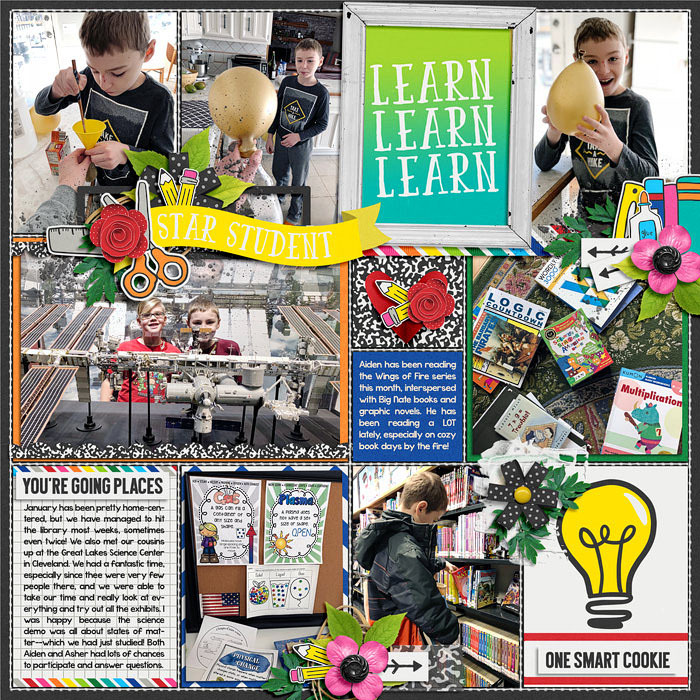 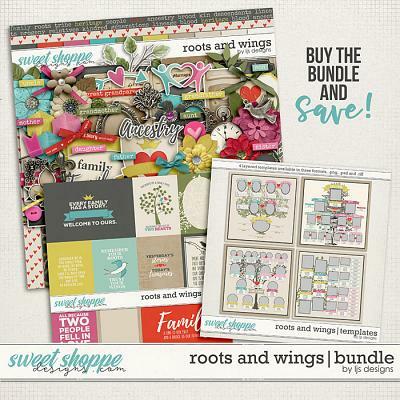 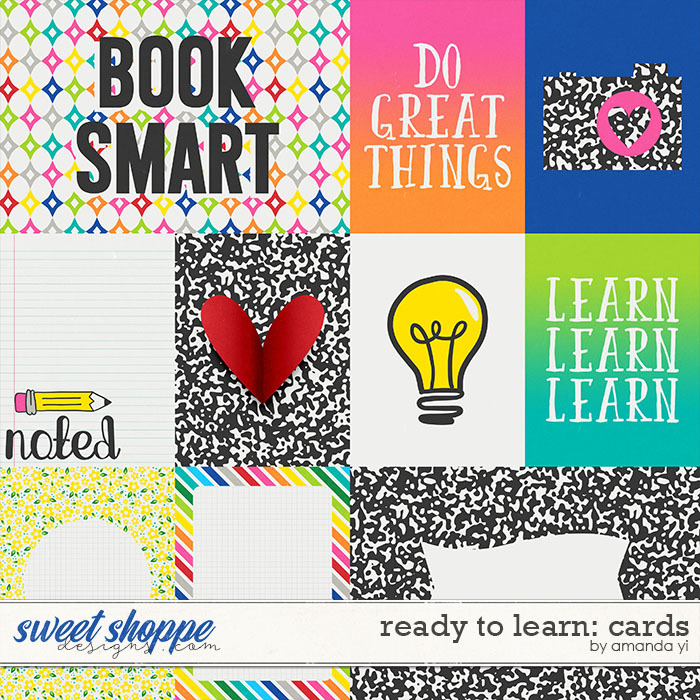 A digital scrapbooking collection by Amanda Yi, Ready to Learn, is inspired by back to school excitement! 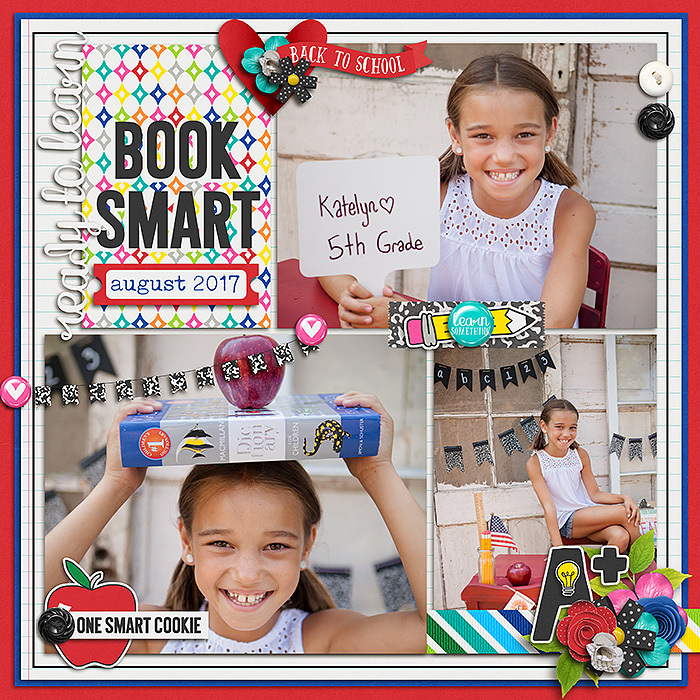 Get your cameras out and ready to capture that first day smile, last day joy and all the fun days in between. 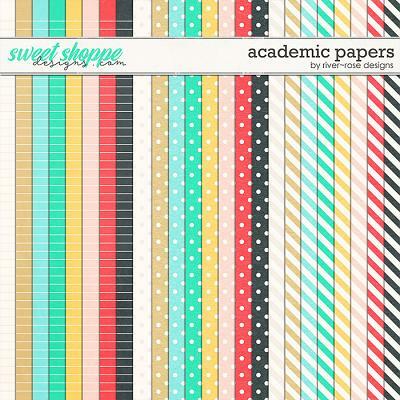 Colorful papers and elements will make documenting the school year fun for your star student heading off to class this fall.